Manda Helped Us Buy Our First Home! "Manda helped us buy our first home and I would recommend her to anyone. She is very knowledgeable about the Birmingham area and will go the extra mile to help find exactly what you are looking for." "Manda is something else!!! She works 24/7 for her clients. To say the least we are picky clients, and Manda works with patience, compassion and dedication to ensure her clients are happy. If I had it to do it all over again, I wouldn't choose anyone else. Manda is the best!!!!" "I wish I could give Manda more than 5 stars she is the best Agent!!! I have worked with many other agents in the past but no one can compare to Manda's knowledge and expertise. She was always friendly and went above and beyond for us. I would recommend Manda to sale your house as well as purchase a home. I was impressed with her hardworking ethics and her upbeat personality. If you want the best agent working with and for you than Manda is the only agent I would recommend!" "My wife and I moved to Birmingham two years ago and Manda was one of the first people we met. A good friend introduced us and her friendly nature put us at ease. Fast forward two years and Manda has helped my family sell our original Birmingham home and purchase a new one. She knows the area and is incredibly responsive. She will have our real estate business for life. We are lucky enough to count her not only as our realtor but also our friend." Working with Manda is a dream! "Working with Manda on the purchase of our new home and the sell of our existing home could not have been better. She is thorough and always willing and happy to help at any time day or night! She works every avenue to get you the best results on both the buying and selling side. We LOVE her!!!" "Manda has years of experience that was evident in the sale of our home. She was very professional yet down to earth. The close of the home was seamless." "Manda went over and beyond. She made sure we were comfortable during our buying process and put our needs first. She was very patient as we saw so many houses. I am so glad that she was our realtor and now our friend!" "Manda has been the most accessible, reliable, and dependable realtors we could ever has asked for. Her diligence in the details and attention to our personal desires in a new home are amazing. She knows the market and she makes every client feel special. I would recommend Manda to anyone looking to buy or sell their home. Our experience has been top notch and we enjoy a forever friendship with her!" "Manda was extremely helpful, patient and thorough in helping my family find our dream home! We looked at many houses prior to working with Manda, but never found that right one. Once we began working with her, she understood exactly what we were looking for. Thanks to Manda, we found a home greater than what we had dreamed of, and with the help of her "thinking outside the box" we were able to make the financing piece work! I would highly recommend Manda." "Manda is fantastic, her advice on where to put effort and money in upgrading our house for sale was invaluable. She also helped us get a better deal with her knowledge of the market and encouragement to raise the price--it still sold in two weeks!" "Manda was very helpful and instrumental in helping with the sale of our house in Vestavia last fall, 2013. She is professional, very knowledgeable and skilled in every aspect of getting the job done. Our house was sold in less than 2 months. I would definitely recommend Manda Luccasen if you are in the market for buying or selling real estate, especially over the mountain." "Manda, is a really good agent that takes care of her clients. She knows the over the mountain real estate market very well. anyone that is looking to buy or sell their home. to use Manda to help them . She is very professional & represents their clients very well." So helpful in the buying process! "Manda was so helpful in the home buying process! My husband and I knew little to nothing about how to go about buying a house. She referred us to a mortgage company to help us get pre-approved. She truly had our best interest in mind!" "Manda Luccasen brings top performance and integrity to real estate. She has excellent knowlege of her profession, networks well with others, and makes buying and selling homes for the customer the best experience it can be." "Manda was extremely helpful to me under an un-ordinary circumstance. Manda was kind enough to help her friend (on the sell side) with a transaction. I was the buyer, without the advice of an agent, and Manda went out of her way to make sure I understood everything related to the transaction. She also helped with the negotiations and was there for both parties throughout the entire process. I honestly don't think it would have worked out without her assistance. I would highly recommend Manda to anyone needing a real estate agent in the Birmingham area." "Manda was awesome!!! I would say that I was high maintenance about home buying and she was amazing! She made us feel like we were her only clients even though I know that was not the case. She is very personable and professional. She also only showed us houses within our budget, which we appreciated. Closing on the house was smooth and her office made the process easy. Not only is she knowledgable about houses, but gives great advice about the surrounding communities, schools, and can make recommendations on just about anything. You will not regret choosing her as an agent!!!" I always go back to Manda! "I have used Manda for multiple home purchases and must say could not of done it without her. 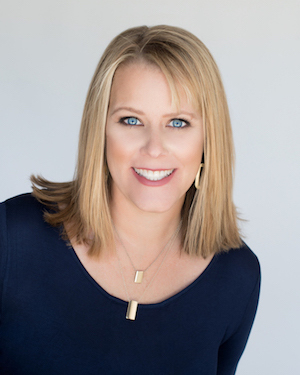 Her knowledge attentiveness connections and relationships with other agents helped in all aspects of purchasing a negotiating and finding these homes"